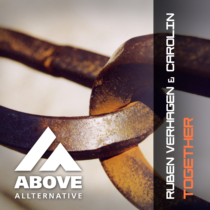 Carolin and Ruben Verhagen have a successful solo release on their name and they now teamed up for their second release. That making this “Together” was a good choice is proven by the result. A pounding bassline will lead you to a floaty break with mesmerizing vocals! In the Original mix the bassline is leading, but if you prefer more melodic, you have to check out Psymes’ twist to this tune. The energy and uplifting power is incredible!